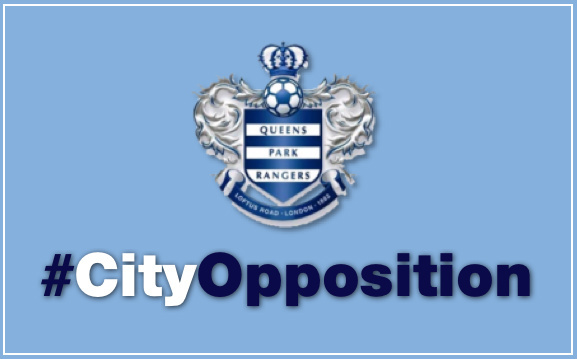 This is an “Opposition analysis” of QPR, City’s opponent on Saturday 1st September at the Etihad Stadium. I used the #MCFCAnalytics Lite data set to do this analysis. Goals Jamie Mackie (8 goals at 26.7% shooting efficiency) and Djibril Cissé (6 goals at 31.6% shooting efficiency) were the most dangerous goal scoring threats. Assists Wright-Philips, Traore, Taraabt and Barton were the top assist providers with 3 each. Taraabt (322), Faurlin (288) and Wright-Philips (215) are the next 3 in this category. All with an passing completion rate of over 70%. Other interesting aspects Taraabt (90 – 42%), Wright-Philips (96 – 37.5%) and Mackie (91 – 27.5%) are the top dribblers of the team. QPR seem to be very direct in their attack. They tend to defend deep and hit on the counter. They scored 10 goals from headers. Adil Taraabt is a very dynamic player but his decision-making is questionable. He takes too many shots from outside the box, many of them either off-target or blocked. Their average of less than 1 goal per away game highlights their trouble scoring away from home. Joey Barton was one of the key cogs of their attack last season. He will be replaced by the excellent Esteban Granero, a product of the Real Madrid youth system. The key players for QPR on the attack are Mackie, Wright-Philips and Taraabt. Esteban Granero is technically much better and has none of the disciplinary issues of Barton. Granero is very adept at running the game from the midfield and has great technique and touch. His best seasons were at Getafe (on loan from Real Madrid) when he played a key role in taking the the small club from the suburbs of Madrid to within inches of the semi-finals of the UEFA cup 2007-08. He moved back to Real Madrid in 2009 and have not had a lot of playing opportunities since then. He must be eager to have a go at QPR and I expect him to have similar impact at QPR as the other Spanish midfielders are having at their respective Premier league teams. However, I doubt he will have a big impact in the game at Etihad Stadium. “A train-wreck waiting to happen” – Is how I would describe the QPR defense of last season in 5 words. They seem to defend deep and it is likely that their back four is slow. Opponents complete about 10% more passes in QPR’s defensive third on an average compared to their league average. The # of corners conceded and headed clearances tell me that the QPR defence is in a “hurried” mode when the opposition is in QPR’s defensive third. This means they are a fraction too slow to be in the right place at the right time. They are forced to make clearances with no time to think about placement. They are ranked 17th in tackles won. Some of it is probably due to them being fraction late on the tackles. Patrick Kenny is not with QPR anymore. Robert Green was not any better in the first two games. They have signed the veteran Brazilian keeper Julio Caesar a few days ago. He is an upgrade over Green. However, I am not too sure if their GK distribution strategy would change much. I think that is the key problem – Too much emphasis on long balls and very poor completions rates even with the short passes. City should enjoy a lot of success if they try to pressure and hurry the QPR keeper. City won 3-2 home and away. City had averaged 200 completions per. game in the final 3rd vs. QPR. City’s average across the league is 142.5 completions per game. That is an increase of about 40%! How did QPR score against City? How did City score vs. QPR? City should win this game. QPR defence had too many issues last season and based on first two games of the Premiership I am not convinced that they have addressed them. On the other hand, City has a potent offence despite the absence of Aguero. However, QPR did score twice at the Etihad in that crazy season finale. If City defence can keep a tab on Mackie, Wright-Philips and Taraabt, QPR’s chances of scoring would go down dramatically.